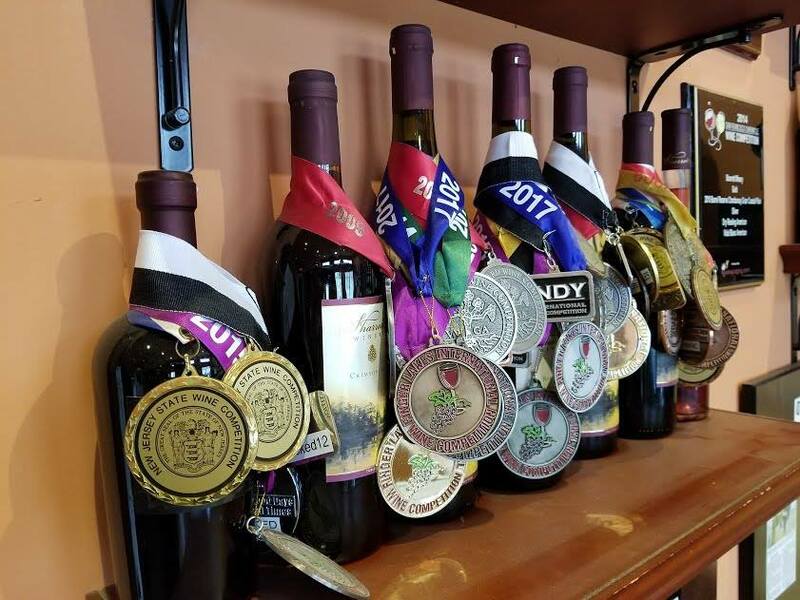 January 17, 2019 — Members of Southern New Jersey’s Outer Coastal Plain Vineyard Association (OCPVA) brought home 21 medals this week in the largest competition for American wines, the San Francisco Chronicle Wine Competition (SFCWC). The competition’s 64 professional judges received nearly 6,800 entries from more than 1,132 wineries spanning North America this year, with New Jersey wines winning a formidable 36 overall total awards. More than half of those winners are members of the OCPVA, an organization that represents wineries in the Outer Coastal Plain American Viticultural Area (OCP AVA) that stretches across Southern New Jersey with more than 40 wineries in all of Cumberland, Cape May, Atlantic, and Ocean counties and portions of Salem, Gloucester, Camden, Burlington, and Monmouth counties. The winners from the OCPAVA are shown below. Full list of winners is linked here. *Best of Class Awards are bestowed on the best example of each wine varietal. **Double Gold distinction is awarded when all judges award a wine Gold. 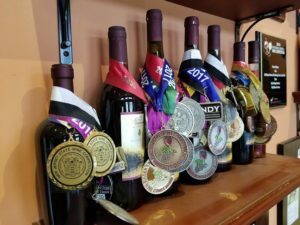 Sharrott Winery was also awarded a rare Double Gold for its Wicked Port in 2017. In 2018, this award was presented to Valenzano for California Sangiovese. The SFCWC is the largest wine competition of North American wines in the world. Judges are selected throughout the major American wine regions to offer a diversity of backgrounds to each judging panel. The SFCWC is one of the few competitions that offers plaque awards for silver, gold, and higher. More information about the competition, awards and judges is available at winejudging.com/. According to a Frank, Rimerman+Co. report released in 2018 by the Garden State Wine Growers Association (GSWGA), New Jersey’s wine industry had a $323 million impact on the State economy in 2016, a nearly 40% increase since it was last tabulated in 2011. The number of wineries increased, as did the wine produced by those vineyards, and the tourists visiting the Garden State to experience New Jersey wineries. The GSWGA is a coalition of over 50 wineries, grape growers and vineyard owners across New Jersey, dedicated to raising the quality and awareness of the New Jersey wine industry. For more information visit: www.newjerseywines.com. OCPVA was formed in 2008 and currently boasts greater than 40 members; the organization is devoted to the study and practice of grape growing in recognition of the fundamental importance of quality fruit in the wine industry triad of the grape grower, wine maker, and consumer. The OCPVA membership has collaborated on a signature red blend, Coeur d’Est that speaks to the unique terroir of the Outer Coastal Plain. Learn more at: outercoastalplain.com. The Outer Coastal Plain American Viticultural Area (AVA) covers over 2.25 million acres in Southeastern New Jersey and was established by the federal government in 2006. There are nearly 200 AVAs currently in the US and the Outer Coastal Plain AVA is among the top 10% in size. The wine industry in this AVA currently comprises all of Cumberland, Cape May, Atlantic, and Ocean counties and portions of Salem, Gloucester, Camden, Burlington, and Monmouth counties.